As of writing this post, it looks like many of you have not seen the contest yet. I’m hoping those of you that do know about it will tell the others, and I’ll give you a day to get points for the questions you answer on Quiz #1. Remember, I’m preparing you for your competition this weekend! The state competition is coming up! We’re already making great progress towards doing well at state – now we just need to keep up the skills until next weekend. So, here’s what I have in mind: every day from now until Thursday, I’ll post five problems on this blog. You, the Mathlete, should solve everything you can and post your answers (along with your name) in the comments. The next day, the answers will be posted so you can check your work. Here’s the game, though: you will receive points for each question you answer correctly. Every day, I’ll post each person’s rankings along with the answers. Who will be the best Mathlete of all? We shall see…. 5. Bonus. 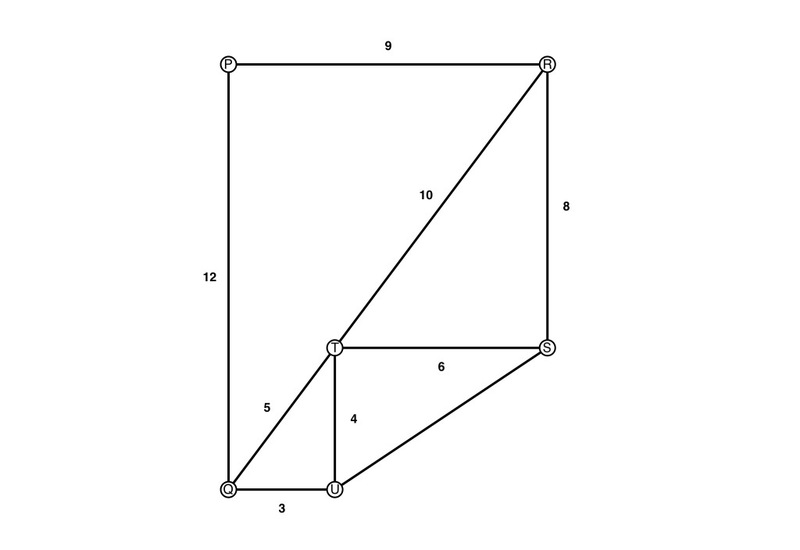 The plot of land for Caroline’s new house is a trapezoid with two right angles, two sides of length 300 m, and a diagonal of length 500 m. What is the length of the other diagonal? Express your answer as a decimal to the nearest tenth of a meter. (20 pts.)? What is the sum of the terms in the sequence 35+34+36+37+33+32+38+39+ … +2+1+69+70? We can assume that triangle PQR has integer sides because more information was not specified. This would mean that PQR is a Pythagorean triple with a short side of 9: a 9-12-15. So the hypotenuse of PQR is 15 cm. The length we actually want to find is US, conveniently the only segment we don’t know. We can use the Pythagorean theorem for triangle STU. Two positive integers have a sum of 52. If their greatest common factor is 4, what is the least possible positive difference between the numbers? to represent the number of cans of paint he needs. This evaluates to , or . Remember that Carlo couldn’t very well buy two-thirds of a can of paint, so we round up to 43 cans. What is the greatest prime factor of 14! (factorial)? In order to find the perimeter of this rectangle, we should first find the side lengths of the rectangle. Knowing that the area of the rectangle is , we can factor this to find the expressions that will multiply to get this area. On to factoring! Now, some students at my school like to use these modern techniques they call the ZBox, or some such thing, but on this blog we’re going to be old-fashioned and use plain old grouping. I guess the way the textbook explains grouping is a bit complicated and that’s why they don’t appreciate this wonderful technique! The terms in the first group have a common factor of 3x, so let’s pull that out and divide each term by 3x. The second group has a common factor of 2, so we’ll pull that out as well. There are our factors and our side lengths! So to find the perimeter of the rectangle, we just take twice each term. How many palindromic 10-digit phone numbers can exist if the first three digits must be different? Let’s write two rates to represent how much water the tap can fill in one minute and how much the drain can empty in one minute. So the tub will fill by in one minute. Logically, it will take 90 minutes to fill the entire tub. How many consecutive zeros are there at the end of the number 105! (105 factorial)? If three of Kelly’s blocks makes a half mile, then one of those blocks must be one-sixth of a mile. Kelly can walk one-sixth of a mile in twenty minutes (admittedly slow, maybe she socializes). Logically this proportion works out to one mile in 120 minutes, or two hours. Two of her friend’s blocks make up a mile, so one of those blocks is a half mile. Using the proportion from above, 1 mile per 2 hours, we reason that 1/2 mile will take Kelly 1 hour to walk.